Important equipment goes missing every day, it’s only a matter of time! Add unique serial numbers and barcodes to any label, which turns them into Asset Tracking Labels that uniquely identify anything they are applied to. Identify, Track, and Control your Valuable Assets! 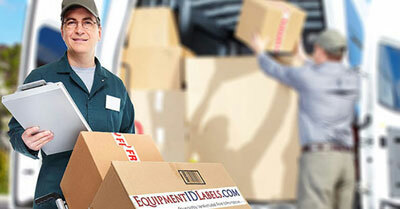 Reduce Losses, and Have Lost or Stolen Items Returned To You. Create “If Found, Please Return To Me” instruction labels for all mobile equipment. Even if you don’t have an “official” tracking process, by simply having our ID Labels on your equipment you will see an improvement in security. If you use any of our 6 Standard Materials, printed in any of our 6 Standard Ink Colors – we will ship your order out in 3 days or less. Complete your entire order through our Automated Order System, or contact us by phone or email and our experts will create your order for you. 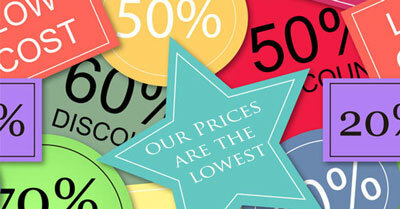 We check our competition regularly, so we already know our prices are the lowest – 10% to 60% less than anyone else. We design your labels, show you a proof, produce and package your order – with no added fees. 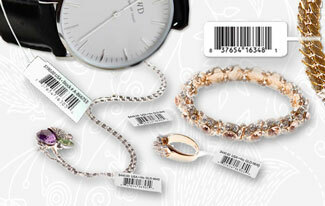 We produce all type of labels, just tell one of our experts what you need. We can also print text and barcodes from your spreadsheet, email it to us for review. We labeled all our mobile phones and laptops, and about two months later one of our sales guys lost his laptop. We got a call the next day from a woman who found it in the lobby of a building along his weekly sales route. We picked it up from her and gave her a $50 reward. She felt good about returning it to us, and we saved $800 getting it back! 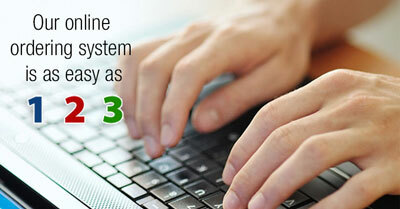 We lease space on our computer equipment to clients, and we also store equipment at third part data centers. We always label our equipment with a Destructible ID Label so we can keep track of each unit. We put our label right on the front panel so it’s visible, and we’ve never had a problem with our equipment going missing or being mistaken for someone else’s. It’s a great way to eliminate potential conflicts with our clients or data centers, because some of our equipment can be in their locations for years. See our full line of Barbell Labels, Rat Tail Labels and Elastic String Tags, made from strong tear resistant white poly material; printed and shipped out to you in 3 days or less!